The nation's largest dietary supplement retailer Monday announced aggressive new testing standards in response to the New York attorney general's weekslong investigation into bogus and mislabeled herbal remedies. GNC, which sells online and in nearly 7,000 stores nationwide, said its products targeted in the probe, launched in February by Attorney General Eric T. Schneiderman, were in full compliance with the Food and Drug Administration's "good manufacturing practices." But the company emphasized in a statement that it would also expand its testing processes deeper into its supply chain. The effort will include tracing the sources of ingredients and performing DNA testing on herbs when necessary, the company said. Schneiderman sent cease-and-desist letters to GNC, Target, Walmart and Walgreen Co. last month after testing his office commissioned revealed numerous popular dietary supplements didn't contain ingredients stated on product labels. 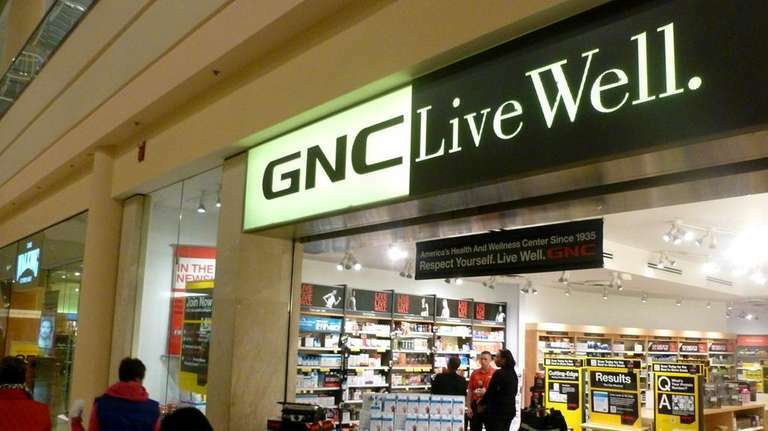 The attorney general called GNC's response to his investigation "a landmark agreement." On Long Island, the GNC news was met with applause and caution. "For once, the good guys seem to have won," said Dr. Arthur Grollman, director of the Laboratory of Chemical Biology at Stony Brook University School of Medicine. Grollman has found that some herbal products on the market pose dangers to consumers. But Grollman also underscored that steps taken by GNC in response to Schneiderman's crackdown will probably not inspire change among the countless fly-by-night operations that pervade the $30 billion supplement industry. "Right now, we are looking at only one company in an entire industry," Grollman said. "But if the other companies choose not to be held to these standards, then there will just be more of the same." Target did not respond to Newsday's inquiries yesterday for comment about GNC's plan, or elaborate on plans of its own. Walmart and Walgreen Co. said Schneiderman's probe is important. "Walmart has been complying with the New York attorney general's legal requests by submitting information and we will continue to work with his office," Walmart spokesman Brian Nick said. Jim Green, Walgreen spokesman, said his company is still working on the attorney general's requests. "We take these issues very seriously," Green said in a statement. "We continue to review this matter and also intend to continue cooperating and working with the Attorney General of New York." In DNA testing commissioned by Schneiderman's office on numerous popular herbal products sold by GNC, Target, Walmart and Walgreens, results revealed that many were tainted with residues of rice, beans, pine, primrose, wheat, houseplants and wild carrot. In many instances, the contaminant was the only plant material found in samples. Products included echinacea, ginseng, St. John's wort, garlic, Ginkgo biloba and saw palmetto products. Testing found most products contained fillers and unrelated substances. "When consumers take an herbal supplement, they should be able to do so with full knowledge of what is in that product and confidence that every precaution was taken to ensure its authenticity and purity," Schneiderman said Monday. Schneiderman also sent letters to major supplement manufacturers last month demanding detailed ingredient and quality-control information on all herbal supplements sold in New York. "We expect companies to reach a high safety bar," Schneiderman added. "Without tests and safeguards, including those that rule out dangerous allergens, these supplements pose unacceptable risks." This month, supplement industry leaders criticized the attorney general's probe. Both Steve Mister, president and chief executive of the Council for Responsible Nutrition, an influential trade organization, and Daniel Fabricant, former head of the FDA's supplements division, and director and chief executive of the Natural Products Association, an industry organization, said Schneiderman is wasting taxpayer money.